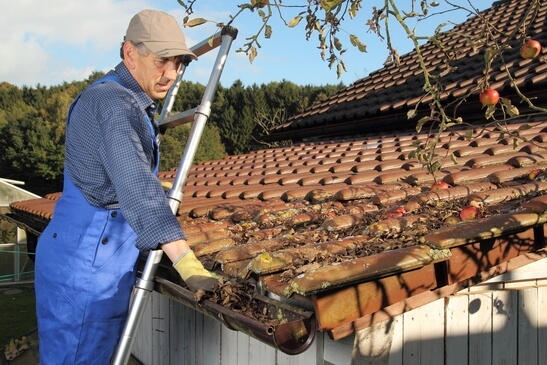 Leaves, dirt, and other outdoor debris can get caught in gutters, causing them to clog and malfunction. Add in some rain, and you’ve got yourself a mishmash of mud-like madness that might just damage your property. Cleaning rain gutters can be dangerous so don’t risk climbing that ladder and resolving the situation on your own – get professionals to get the job done for you. Luckily, we’re here to happily lend a hand because when it comes to cleaning gutters, there’s no one else in the business that does it better than we do. We don’t believe that gutter cleaning is a one-size-fits-all affair – every home and every homeowner is different. Tailor fitting our gutter cleaning service plans to our clients has made us popular as the only client-centered property maintenance service in the locality. With our unique approach to taking care of your house, you can be sure that you get nothing but the best results specific to your situation. Our well-groomed, highly-skilled, and expertly trained home improvement specialists are the core of our humble business. We guarantee our clients that our workers are dedicated to performing their jobs to the highest of standards, providing not only a speedy and stress-free experience, but also superior results unparalleled by any other name in the business. Get all of these benefits and more at an affordable price when you hire us to clean out your gutters for you. Raise your defenses against those coming storms and feel carefree and comfortable in your home – call us today for a superior rain gutter cleaning service!